On December 23, 1805, the fifth child and fourth son of Joseph and Lucy Mack Smith was born in Sharon, Vermont. He was named Joseph, Junior. His family lived on farms in Vermont, New Hampshire and New York, and struggled economically, for most of his childhood. When he was 14, he told his parents he had met personally with God the Father and Jesus the Son in a grove near Manchester, New York, an event that set the direction for the rest of his life. In 1823, he stated that the angel Moroni visited him and told him of the book he would find buried nearby that he would use to restore the Church. 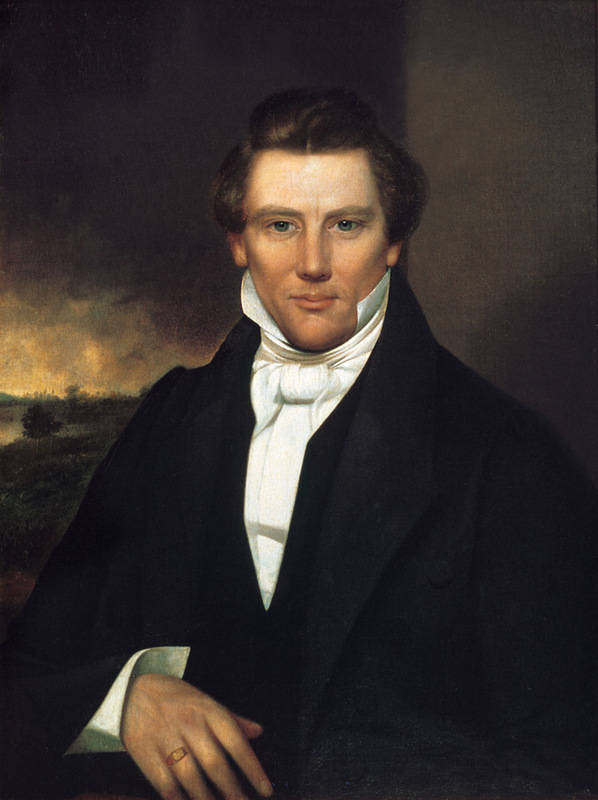 When Joseph died in Carthage, Illinois, June 27, 1844, he was the leader of a religion based on his own teachings and the book he had introduced to the world: the Book of Mormon. At the time of his death, Mormonism had tens of thousands of adherents in several countries.